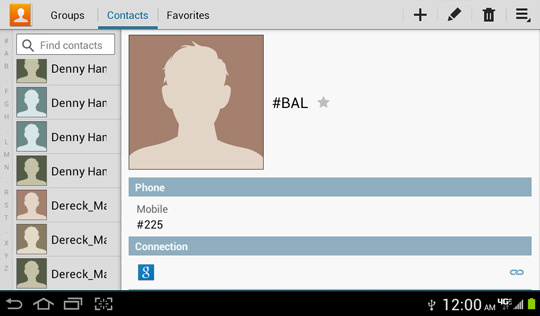 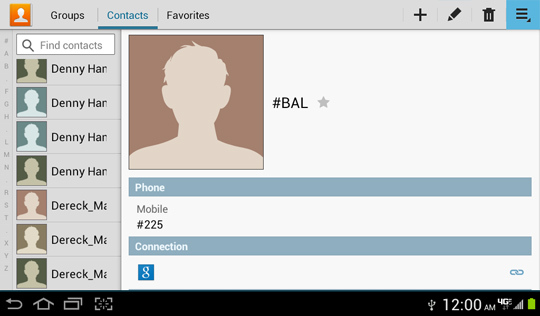 The Samsung Galaxy Tab® 2 contact list application uses an intelligent merge feature to combine contact information from various sources (Gmail, Microsoft® Exchange, Facebook, new entries, etc.). 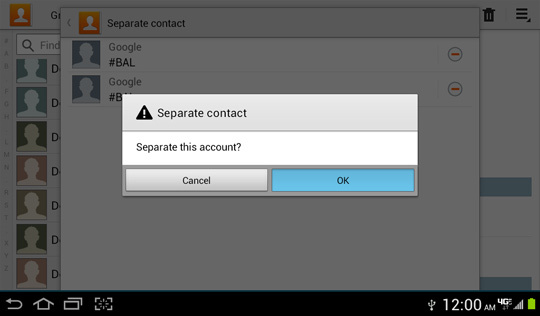 If contact information was joined in error, the information can be separated back into individual contacts. 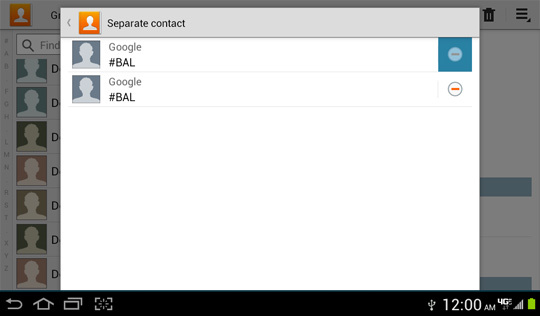 From Contacts, select a contact. 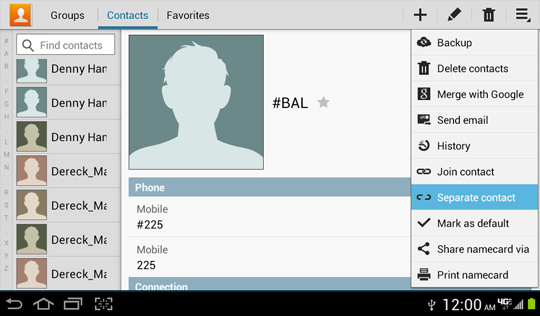 Select the minus symbol (-) associated with the contact (located to the right of the contact).